Wait, wait, I’m not talking revisionist history here, not about “taking sides” or rewriting it to suit our purposes…I’m talking about historical fiction. Many years ago I discovered this genre when I had a daughter who loved to read and was bored to tears with history. In that ever-seeking way that many of us homeschooling moms have, I pondered and researched and talked to other moms and discovered that this resource made all the difference. For those of you new to the genre, historical fiction takes a fictional character, places them in an actual point of time or historical setting, and fills out what the day-to-day details of what their life would most likely look like. The best books include details that pull the reader in, that make the character someone “real” to whom they can relate while staying true to actual events of the time. And in honor of Multicultural Children’s Book Day today, I want to share with you my latest YA (young adult) historical fiction read that does all that and more: The Last Cherry Blossom, by Kathleen Burkinshaw. I feel really fortunate to be scoring big on books lately! My daughter and I are enjoying our finds and sharing them with each other. 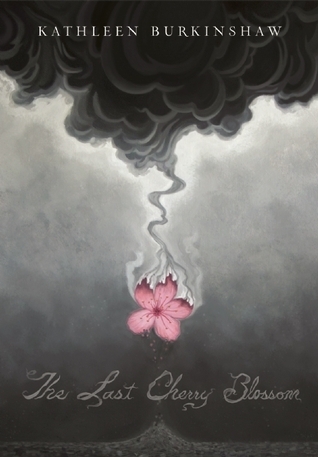 Our latest gem is Mrs. Burckinshaw’s debut novel, “The Last Cherry Blossom.” Taking place in Hiroshima, Japan in the year 1945, this story chronicles the life and events of 12-year old Yuriko-chan just prior to the “day of infamy”, when her world was shattered by the dropping of the atomic bomb. In reality, Yuriko-chan’s story is based on those the author remembers hearing from her own mother, who shared them with her over the years. In this book, Mrs. Burckinshaw has taken loving care and effort in crafting a tale that is based on truth and made alive with “just enough” fiction. This isn’t a re-write of history, but rather the telling of a lifetime of memories that puts the reader right in the middle of the action. Mrs. Burckinshaw’s writing style is easy; I read this book in one sitting (ok, maybe two if you count I started it in the evening and slept a few hours that night partway through), and I think I stopped breathing about 2/3 of the way through with the suspense! 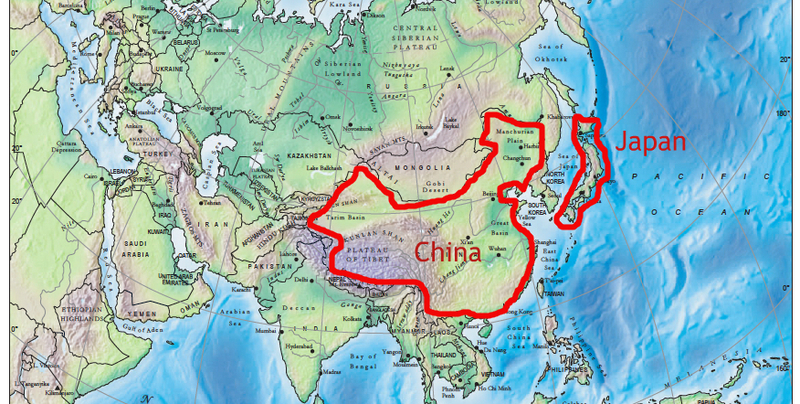 One of the smoothest ways to teach history and geography is to include them seamlessly into all your studies. Keep a world map available on the wall in your school room or dining room. You’ll find it a great way to spark conversation about current events, too, as everyone will be better able to place where current events and news stories are taking place. Bright Ideas Press has some wonderful maps that you can print our for smaller projects, too. We’ve used their black-line maps for our International Day projects, as well as geography studies in general. I’ve also printed out maps of specific regions when we’ve come upon them in our literature. It really does help our kids to understand the interconnectedness of the world. I’d encourage you especially to do this if you have teens – now’s the time (especially if you haven’t done this before – to help them engage in the world around them in a larger sense. 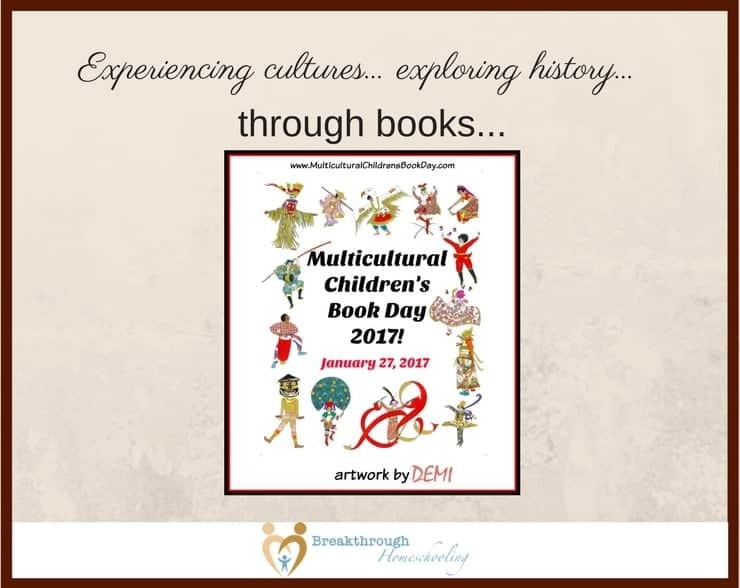 Multicultural Children’s Book Day 2017 is in its fourth year and was founded by Valarie Budayr from Jump Into A Book and Mia Wenjen from PragmaticMom. Our mission is to raise awareness on the ongoing need to include kid’s books that celebrate diversity on home and school bookshelves while also working diligently to get more of these types of books into the hands of young readers, parents, and educators. You have brought tears to my eyes with your kind words about my mother’s story and my writing. Thank you so much. I’m working on a teacher’s guide, but I do have a book discussion guide that you can now download from my website. What a moving review! I can’t wait to get this book! Really a good review. I would love to read the book. Great way to adjust to your daughter! Thanks so much for linking up at #familyfriday we appreciate it! We hope you come back next week. Thanks for linking up at Finishing Strong! I chose to feature your post at Starts At Eight this week! I’m glad this fit into your daughter’s curriculum so nicely and that she got a lot out of the book! 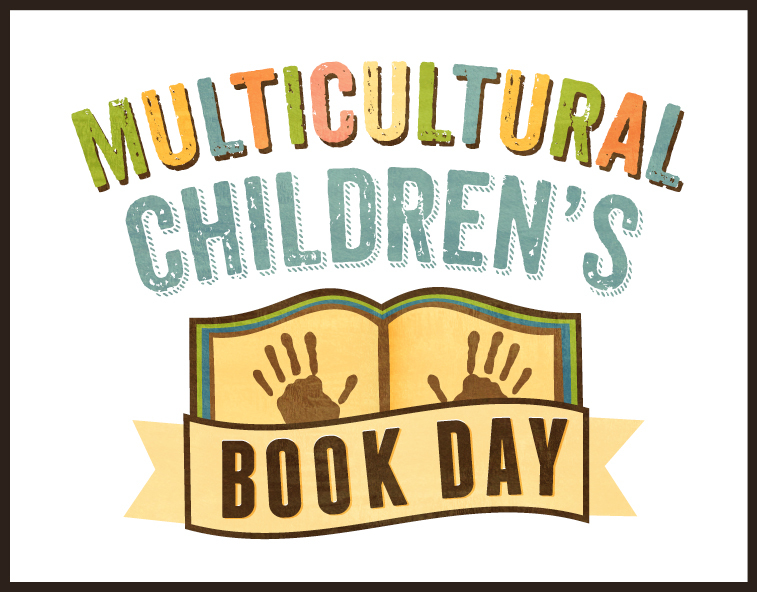 Thanks so much for sharing via the Multicultural Children’s Book Day linky and for being a reviewer! I hope you can join us tonight at our Twitter Party from 9-10pm EST. We will be giving away hundreds of diverse children’s books in the form of 13 book bundles. Unfortunately, I was down with the flu and missed the party. I’m sure it was a lot of fun!! Thanks for leaving the link, tho; I hope some of my readers were able to make it. Even better, I hope (at least) one of them won something! !